Biopuncture Archives - Healing Feet - NYC Podiatrist & Foot Doctor. 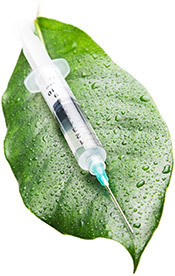 Does Biopuncture Injection Therapy Speed Up Injury Recovery? At The Center for Podiatric Care and Sports Medicine, many of our patients are athletes eager to return back to sports after an injury. Naturally, our patients all want to know how recovery can be expedited, so they can get back to competing. Conventional wisdom has said that popping an ibuprofen makes life more bearable and interventions like icing, elevating, and compressing help. But is there something that could potentially speed up the recovery process? NYC podiatrists discuss biopuncture injection therapy. You’ve probably heard of complementary therapies like acupuncture and massage therapy, but you may not have heard of biopuncture. This minimally-invasive treatment is available at The Center for Podiatric Care and Sports Medicine to treat a variety of conditions, particularly plantar fasciitis, tendinitis, and ankle sprains.